Home » Do You Want to Au Pair in Canada? Do you want to become an Au Pair in Canada? In order to work legally in Canada, avoid problems at the border (like being sent home!) and be offered the same protection given to workers in Canada you must have a Working Holiday Visa. If you find a family or other Au Pairs who say you do not need a Visa to become an Au Pair in Canada, they are wrong. You are entitled to make at least minimum wage and be covered by employment standards shared by Canadians. There are wonderful Canadian families who have no intention of manipulating your situation or exploiting you, however some simply do not understand the process of hiring an Au Pair or employing someone to live within their home. If you are a young person between the ages of 18 and 30 (35 for some countries) and you come from one of the following nations; Australia, Austria, Belgium, Chile, Costa Rica, Croatia, Czech Republic, Denmark, Estonia, France, Germany, Greece, Hong Kong, Ireland, Italy, Japan, South Korea, Latvia, Lithuania, Netherlands, New Zealand, Norway, Poland, San Marino, Slovakia, Slovenia, Spain, Sweden, Taiwan, and the United Kingdom, then you are eligible to apply for a Visa through the International Experience Canada program. All Visas issued under this program are valid for up to 12 months from the date of entry (with the exception of France, Ireland, the UK and Australia which is 24 months, New Zealand which is 23 months and Italy which is only 6 months). An additional requirement for applicants from Mexico stipulates he/she must be able to provide proof of student status at a recognized post secondary institution. 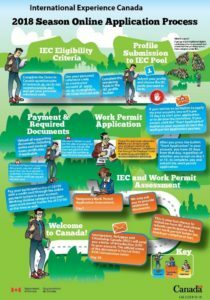 Everything you need to know about the IEC program can be found by referencing the Travel and Work Abroad website of the Government of Canada. The cost of the application for the IEC program is $150 with an additional $100 to be paid for the Working Holiday Visa. There are also a number of Facebook groups you can search for by typing in “IEC” and “Canada” in the search terms. The Facebook groups are a wealth of information and very helpful if you have questions about the Visa application process along the way. The IEC program usually opens for applications between November and March each year. In 2016, the Canadian government made significant changes to the program and it is no longer a “first come, first served” style of program. All applicants are placed in a “pool” and randomly selected to participate. Once accepted into the application process by Immigration Canada, you will need a Police Certificate stating you do not have a Criminal Record as well as a Medical Clearance so that you may work with children in Canada. The medical and police certificate are added costs to the process (some families may offer to pay for the cost of your medical – you may be able to work this into your contract). A medical can cost around $200-$400 depending on where you go so be sure to ask up-front what the fees are. Medical exams MUST be performed by Immigration Canada certified physicians. Your police certificate must have been completed within six months of your application submission and your medical within 12 months. It should take no longer than 8 weeks for your application process to be completed, assuming you have no delays. Upon entry into Canada and activating your Visa you must show that you have medical insurance for the duration of your stay in Canada. Due to the length of time it takes to get the appropriate Visa to work in Canada, search for your family well in advance (6-9 months even). If you do not already have a host family, there are plenty of popular matching websites to assist you in finding a family that shares your passions and interests. Try looking on Au Pair World and set up a profile. You will be surprised just how easy it is and how quickly families will begin contacting you, looking to know more about you. Most families pay membership fees on the sites and will be able to message you. 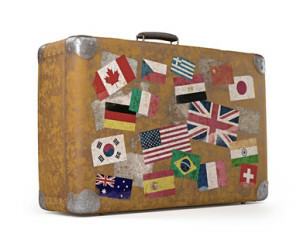 Be sure to state in your profile that you already have an IEC Working Holiday Visa or that you are willing to get one. Ask all potential host families plenty of questions about the Au Pair arrangement (hours of work, time off, expectations for any housekeeping, accommodation etc…) You do not want any major surprises when you arrive in Canada. 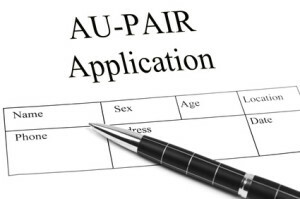 Ask prospective families if they have an Au Pair Handbook created or if they have hosted Au Pairs in the past. Most certainly ask them for references. They will want to see yours! Your potential host family will want to interview you using Skype or Facetime. You will likely be nervous but so will the family! The family may introduce you to the children and they may ask to be introduced to your family as well. Be open and friendly and honest. Most Au Pairs have at least two days off in a row (generally weekends) and are sometimes asked to do evening babysitting as well as light housekeeping related to the children. Discuss with the family their expectations; every family is different and some families expect more chores to be done than others. Make sure you talk with potential families about perks such as access to a car or public transit, cell phone allowances, WIFI access, travelling on vacation with the family and other things that might be important to you. There are rules in each province about how much a family can deduct from an Au Pair’s pay for room and board, so discuss this with your potential family as well. Above all, make sure the family sends you a contract before you agree to become their Au Pair. Never arrive in Canada without having reviewed a contract. An Au Pair is responsible for her own travel costs to Canada and all associated costs of the Working Holiday Visa process. An added expense is insurance. The Government of Canada insists that everyone coming to Canada on a Working Holiday Visa has their own health insurance coverage. Are you a young Canadian woman seeking work as an Au Pair in another region of Canada? You are in high demand! Many Canadian families, especially families on the West Coast, are seeking Canadian Au Pairs (French speaking Au Pairs are very popular). Because Canadian Au Pairs do not require any special paperwork or documents to work in other provinces, the recruitment process is quicker as there are fewer hoops to jump through. As long as you have a social insurance number you are good to go! This is a great opportunity to see Canada, improve your English or French skills and be part of a family while you are here. We do not work directly with Au Pairs offering placement, but from time to time we get questions about how to become an Au Pair in Canada. Because of the demand for our expertise, we have created a “sister-site” called Au Pair 911. Au Pair 911 exists to help all Au Pairs who aspire to come to Canada or who are already here and need a bit of guidance. If you feel that you have been mistreated or are not being compensated according to Provincial labor standards please feel free to contact us. We will explain to you what the regulations are and offer you our opinion on your situation. Do not be taken advantage of and know your rights. We know you are far from home and sometimes the situation seems out of your control. Check out Au Pair 911 and contact us through the site. We are proud advocates for Au Pairs in Canada and a supporter of P.E.A.P (Prevent Exploitation of Au Pairs).